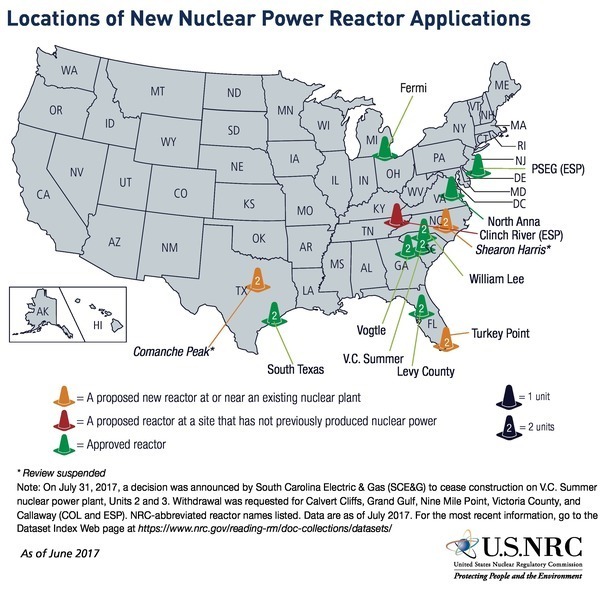 NRC's List and Map of Applicant Sites, which is out of date, given that Plant Levy is thoroughly dead, and V.C. Summer is dead unless somebody like NextEra buys it. 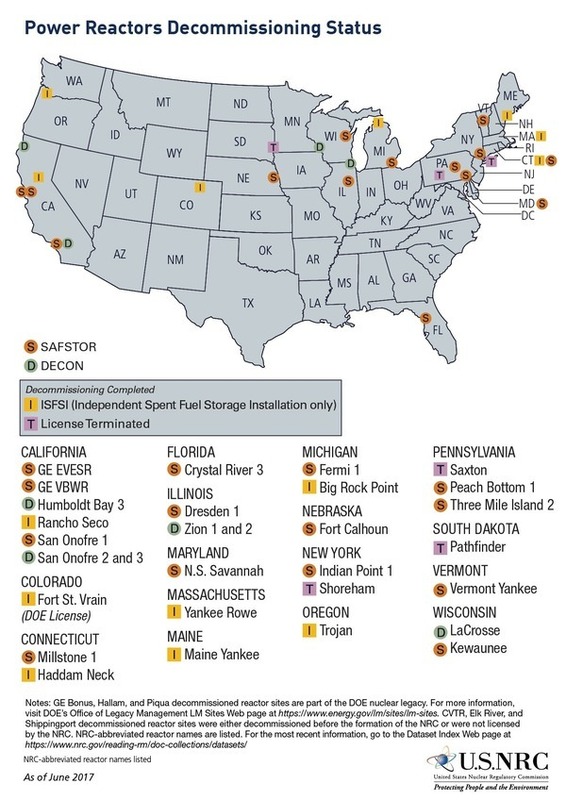 NRC's List and Map of Power Reactor Decommissioning Sites shows many more units decommissioning than there are applications to build new ones. 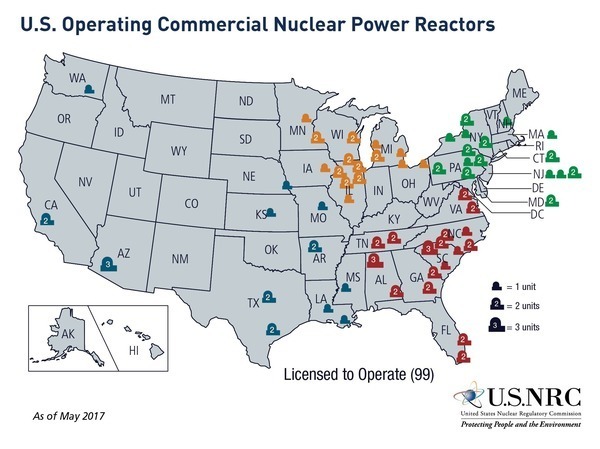 Geocommons operating nuclear reactors lat long and a slightly incomplete Wikipedia List of "all nuclear power stations that are larger than 1,000 MW in current net capacity", with latlong coordinates.